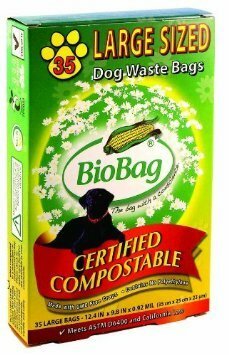 Unfortunately, a lot of dog bags that are sporting the 'eco' label, in some shape or form, are actually not biodegradable poop bags for dogs at all! It took me quite some time to find those that are and so I thought I share my finding here with fellow, eco-conscious dog lovers, to save you some time. 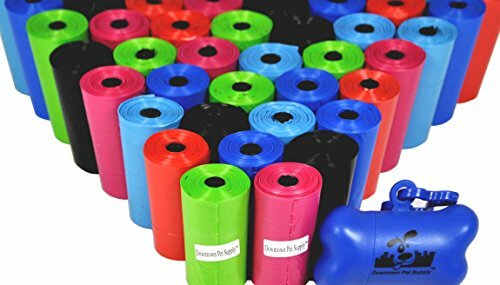 Please use the navigation below to find quicker the best biodegradable dog poop bags for you and your four-legged friend ;-) Oh, even if they are biodegradable, you should never throw them on your own compost, only in the dedicated doggie waste bin or on a separate doggie compost! These bags are big enough to hold the 'business' left behind by even the largest dog as they measure 9.8x 13.8in. Also great for people with big hands and small dogs ;-) They are made from cornstarch (GMO free), don't contain any plastic whatsoever and can go so safely onto a compost heap, where they will be converted into compost in maximal 45 days. With 35 bags in the box, they cost around 13 cents per bag, depending on special offers and post and package obviously. Certified by DEBIO, meeting the ASTM D6400 specification and also the, very strict Californian SB 1749 requirements. Unless obviously you live in a multi-dog household and go quicker through doggie waste bags than other people. The bags at the right, costing around 15 cents a piece, are bit expensive in my opinion. Also the name 'Flush Puppies' gave me a bit of a shock as I read it for the first time ;-) But I include them here, as they can come in quite handy for people that don't have a dog waste bin nearby, don't have, or don't want to have, a dedicated doggie waste compost, nor are allowed to dispose of dog waste in normal garbage bins. Nobody really knows how long plastic bags really take to disintegrate, see link below, but we do know that it takes an awful long time. 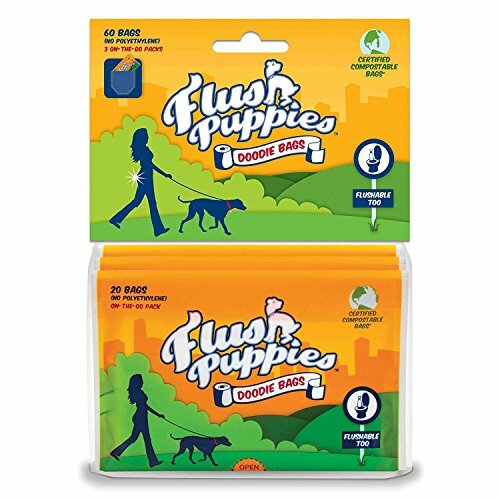 By using, recycled, grocery bags to pick up dog poop we not only add more plastic to the landfill sites, we also prevent the dog poo itself from being converted into compost. How long does plastic really take to desintigrate? 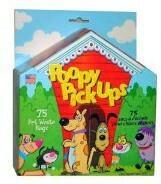 What do you use to pick up your dog's poop? I just leave it where it is and let Mother Nature do her bit. 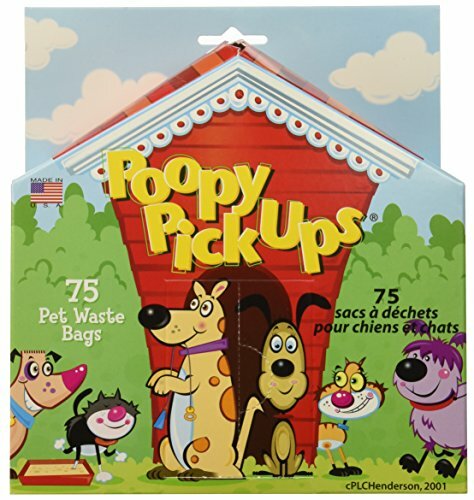 Biodegradable dog waste bags only - I want to help Mother Nature as much as I can! What a smart product, I'm all for anything environmentally friendly. Great product review.